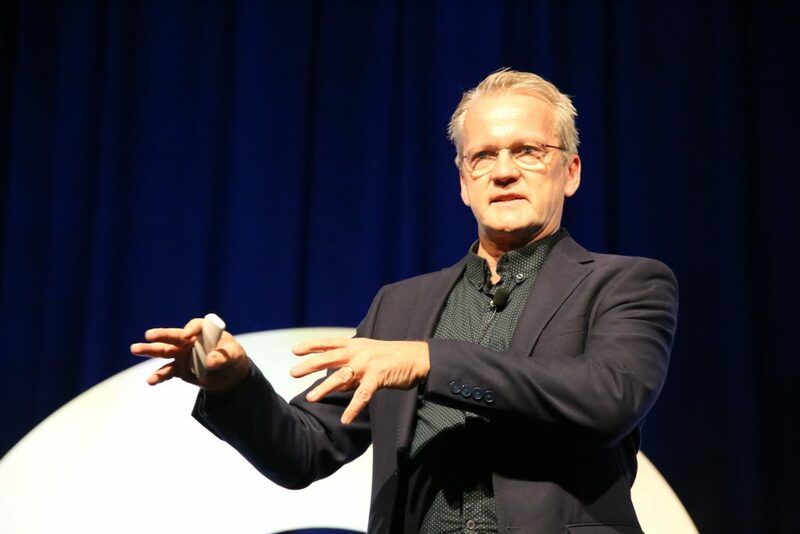 Derek Wenmoth reflects on Pasi Sahlberg’s uLearn18 keynote address. 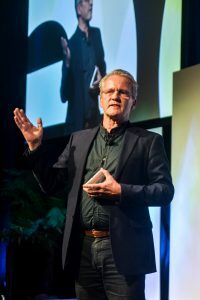 The keynote address by renowned Finnish academic and author, Pasi Sahlberg on day two of the uLearn18 conference may best be summed up as providing a warning and a call to action. While many in the audience were expecting to hear stories of how progressive the Finnish education system is, Pasi took us in a different direction. In his casual, at times ‘under-stated’ manner, he made us reflect on the challenges facing our education system and education systems around the world. 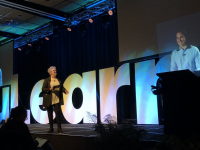 Pasi then explained how we mustn’t simply expect the ‘system’ to provide the solution – that it should be the work of the professionals in the system to step up and take responsibility by focusing on each child and each classroom to make the difference. 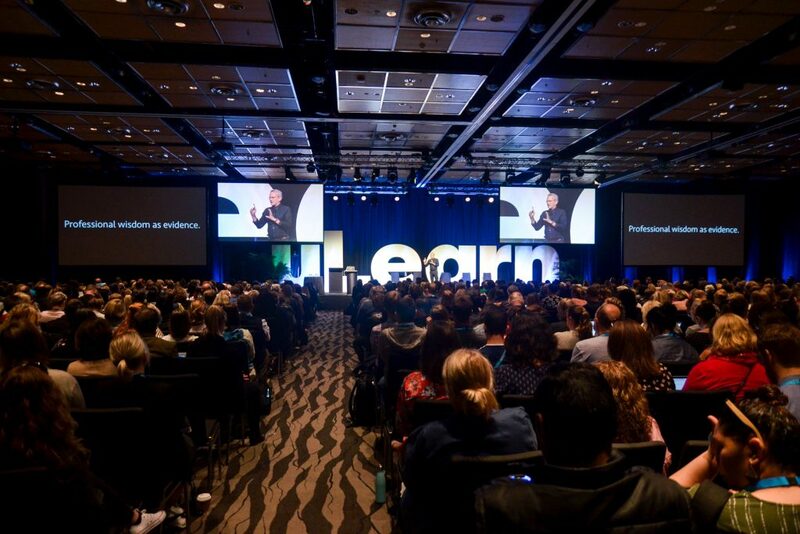 The underpinning message throughout the keynote was the need to focus on and respect the learner, with his or her particular needs, strengths, abilities and ambitions, and to understand this as the key to a truly learner-centred approach in education. With subtle wit and humour, Pasi shared his own experience as a maths teacher who once wanted to be a mathematician. Teasing this out, he described the stereotypical view of a maths teacher that has established itself in the minds of students, and the disservice we do to the field of mathematics – or any discipline for that matter – when we allow the focus on the content or the discipline to become more important than the learner. In the learners’ experience their interests will typically traverse multiple disciplines and be more holistic, integrated and ‘linked’. This focus on the learner and the learner’s perspective is pivotal in building a successful, future-focused approach to schooling. The warning Pasi gave us is simple, and is tied in made explicit in the title of the keynote: if we don’t lead with small data we’ll be led by big data. The problem is that education policymakers around the world are now reforming their education systems through correlations based on Big Data from their own national student assessments systems and international education data bases without adequately understanding the details that make a difference in schools. By ‘big data’ he is talking about all forms of assessment and achievement data that is currently being collected and collated at a national and international level, sifted, sorted and represented back in the form of statistics and trends upon which large scale decisions are made about curriculum, policy and resourcing. We know this well in New Zealand with the recent experience with National Standards and the pre-occupation with OECD data that appears to cause immediate swings in what is deemed to be important. Pasi’s key warning here is “Don’t confuse correlation with causation”. Just because the data can be construed to reveal certain patterns or trends doesn’t make it true in the context of a specific student or school. To illustrate his point he used a combination of OECD data and national data on the amount of ice cream consumed to “prove” that ice cream consumption positively affects education scores! 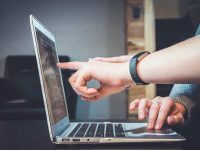 The more concerning warning came when considering how technology may be viewed as providing a solution to meeting the demand for mass-personalisation. The argument presented is compelling – if 75% of education spending is on people, and we could reduce a third of the “people” by using artificial intelligence (AI) in education this would present an attractive proposition for budget-conscious politicians. But what will it mean for educating students as a whole person? To illustrate that this is a very real and current concern, Pasi used the illustration of alt-school – a network of progressive schools in the USA. These schools advertise themselves as being completed learner-centred, providing learning that is self-driven, competency-based, personalised, socially embedded, and open-walled. It sounds like the ideal scenario – highly personalised pathways for individual students, powered by a sophisticated AI that is monitoring each student’s every move using a series of cameras throughout the environment, and monitoring their every keystroke and response to online content and instruction. There’s no doubt this approach works, and produces students capable of passing exams and demonstrating their gains in learning – but what’s missing? Where are the relationships with others? Engagement in play? Interactions with people? Development of empathy and other effective qualities that may best serve the future of humanity? The call for action directs attention directly on those of us working with learners in schools – the teachers. Pasi challenged us to trust our raw instincts, to be amongst what is happening, not just observing from a distance. This will require a greater degree of professional trust is the key to the small data conundrum. In Finland, trust is for us the full trust and freedom for our schools and teachers, believing that they can develop goals, teaching standards and content appropriate for their children. The trust is instilled deeply in our culture; it is not a single behavior in a particular situation. 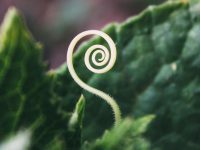 Small data is what we gather when noticing the small stuff that is occurring in the specific context of the classroom or individual student learning, and will make a difference to the big picture when we combine what we observe with our professional wisdom. Pasi’s point is that this ‘small data’ reveals patterns and insights that the ‘big data’ with its statistical trends and correlations can never do. 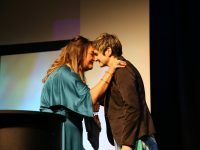 Pasi’s call for action is that we discover together, at the local level, the power of collective professional wisdom. It is the little things we do as teachers with our learners that makes the difference. This resonates well in the NZ context where we’ve valued Overall Teacher Judgements (OTJs) as a part of the assessment process – but if we’re to be serious about taking up Pasi’s challenge, we will need to become even more serious about ensuring we build our professional capacity even further – and deeper – so that we can be even more secure and confident about the ‘professional wisdom’ that we are able to bring to bear on the observations we make. To achieve this Pasi recognised the need for educators and government agencies to work collectively to find ways to reduce teacher workload, support special education, fund public schools better and use student voice to design learning. Build a trust-based professionalism – trust colleagues, bosses, children – and this will include building trust within the community too, with parents and future employers etc. Build professional wisdom as evidence – we need to give greater priority again to our professional reading, participation in professional associations and in-school professional learning groups (PLGs) where our professional knowledge can be challenged and honed. Lead with Small Data – if you don’t make this a priority, you WILL be led by big data! Derek Wenmoth is a Principal Consultant at CORE Education. He has been involved with CORE since its inception in 2003. With a background as a teacher, principal, teacher educator and education policy advisor, Derek’s role at CORE, perfectly combines his passion for teaching and learning together with his long-held fascination with the use of technologies in education. He coordinates the development of CORE’s annual Ten Trends that are widely referenced by educators and educational leaders.